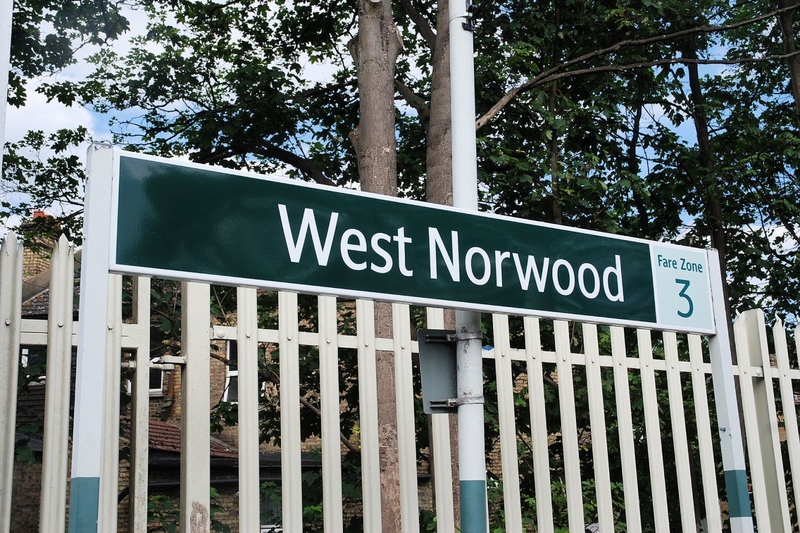 West Norwood Area Guide - What makes West Norwood so great? Where do West Norwood locals go? So many activities for adults and children. I personally love the exercise classes, Zumba and Boxfit. Known locally as the "White House", Norwood Grove House and its well-tended formal gardens were opened in 1926 by the future King Edward VIII. It is the centrepiece of Norwood Grove itself; a large expanse of grass from which you can overlook Streatham and its surrounding areas. It is thoroughly underutilised and all the better for it! A walled garden that would not look out of place in a BBC costume drama. Stunning throughout the year and still relatively undiscovered by the residents of South London. The gardens are beautifully maintained by a justifiably proud set of volunteers. One of only a few decent coffee shops on Streatham High Road. It's slightly pricier than its competitors, but for the quality of the food and coffee, it's justified. Lovely place for a coffee in the morning before getting in to the office and amazing cooked breakfasts with thick milkshakes. It turns into a bar at night with an extensive cocktail menu and it's open until 2am! Share your favourite place to go to in West Norwood. "The Greek inspired necropolis at West Norwood cemetery has seen over 200,000 burials including such illustrious figures as cookery writer Mrs Beeton, the pioneer of the machine gun Sir Hiram Maxim and the head of the Doulton pottery dynasty who had an entire vault created from terracotta." You can be at London Victoria or London Bridge in less than half an hour from West Norwood Station. St Luke's Church, West Norwood was built in the early 19th century and sits at the top of Norwood High Street. From independent shops, green spaces and a short commute, Herne Hill is the perfect combination! I love West Norwood as it is a vibrant, friendly community with so much to do. Awesome views and fastest travelling needs. It's easy. People from all backgrounds rub along just fine. Feels a bit of a hidden gem but likely to change with a new swimming pool/gym and leisure centre and cinema too. Some great local treasures like Rosebery's auction house and South London Theatre and again, will become more of a destination as SLT are planning to do major restoration works to the theatre. Think Balham 15 years ago when it was at the tipping point. What do you think of West Norwood? West Norwood is a place in the London Borough of Lambeth. It is primarily a residential suburb of south London but with some light industry near Knights Hill in the south. It is 5.4 miles (8.7 km) south south-east of Charing Cross, bordered by Upper Norwood, Crystal Palace, West Dulwich, Tulse Hill and Streatham. West Norwood is part of the Norwood town centre area of the London Borough of Lambeth comprising Gipsy Hill, Thurlow Park, and Knights Hill Wards. The town centre office is located at the West Norwood Library. West Norwood is well served for parks and open spaces with Norwood Park and Brockwell Park which is only a short walk outside the town centre area. What are your favourite things about West Norwood? Find out how much your flat or house is worth om West Norwood. Feedback about living in West Norwood has been submitted directly by the public and may not neccessarily reflect the views of Foxtons. The description of West Norwood was modified from Wikipedia and is available under the Creative Commons licence. Land Registry data is Crown copyright. All the views and contributions contained within Foxtons Local Life are those of the contributors. All content is assessed before publishing for taste, however free opinion is encouraged. Foxtons accept no payment or sponsorship for content that is posted about West Norwood.